Images and comments are the two strong elements that help you increase the website traffic. Visitors are mostly attracted by the images on the website and the comments help you to interact with your visitors. Both of these factors can be very beneficial for your website of any kind if used wisely. If the two of these engaging elements come together in one place, the user engagement rate is sure to go up on your website. 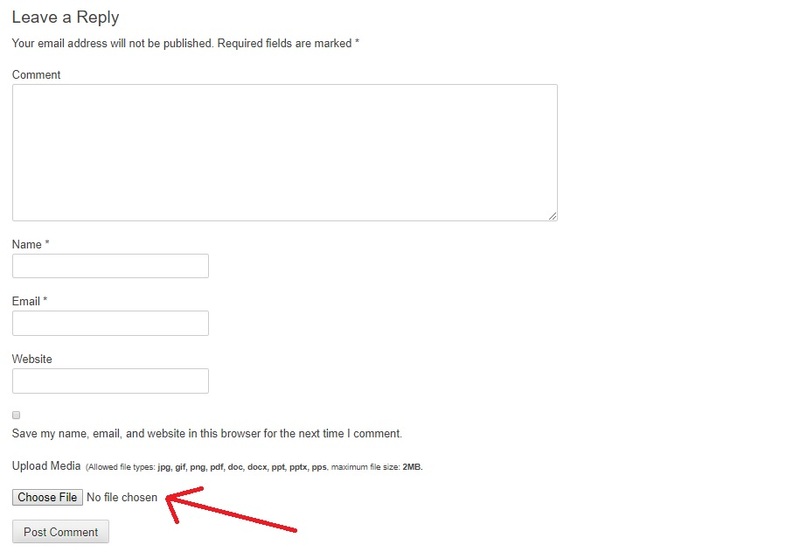 Yes, you can allow your users to upload images in WordPress comments. Here is a short tutorial on how you can easily allow users to upload images in WordPress comments and increase user involvement on your website. 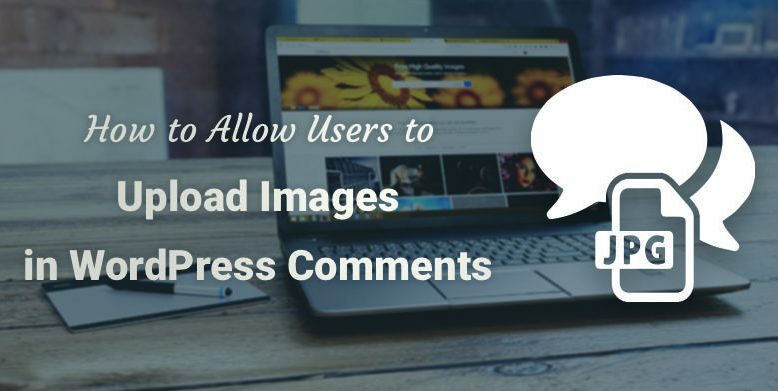 Note: Before you allow users to upload images in WordPress comments, make sure you add some comment posting guidelines on your site to let users know what kind of attachments they can upload. Also, you can moderate the comments before they appear on your website as well. 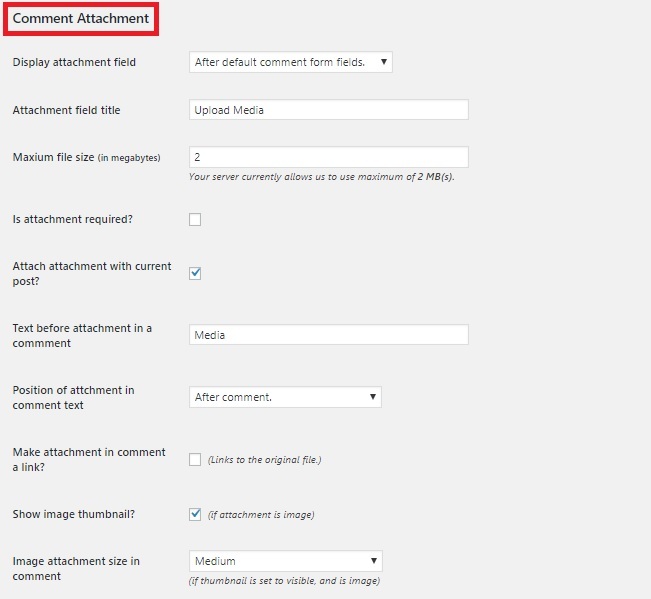 We will be using a simple WordPress plugin for this tutorial named Comment Attachment. The plugin allows your visitors to attach files—images, and documents—to their comments effortlessly. After you’ve installed and activated the plugin, head over to Settings > Discussion page from your dashboard. Then, scroll all the way down to Comment Attachment. In the Comment Attachment Section, there are a number of customization options for you. You are allowed to customize almost everything related to comment attachment in the way you want. Also, you’re allowed to let your users attach any documents, PDF files, PowerPoint presentation, Excel spreadsheet, and more from the Allowed File Types section that is right below the Comment Attachments section. And, once you’re happy with the changes, click Save Changes and visit your website to see the plugin in action. There, you’ll be able to see a new media upload field. The images uploaded by your users will be stored in your WordPress Media Library. To delete any images uploaded by your users, go to Media > Library and delete the media file. This will remove the image, however, the comment text will not be deleted. That’s it. We’ve successfully allowed our users to upload images in WordPress comments with the help of the Comment Attachment plugin. It was an easy task, wasn’t it? For those who’re concerned about the Gutenberg compatibility, Comment Attachment plugin is completely compatible with the Gutenberg editor and would not break your website. Well, now that you know how, go ahead and increase the user engagement rate on your website. Next → Next post: WordCamp Kathmandu 2019: Student Tickets Available Now!